Soon. We’re working on it. Honest . . . Some apparently disappointed gamers who clearly do not shoot tournament grade shotguns for a living have evidently bought CLAZER thinking that they were going to shoot zombies with lasers. Sorry fellows, the name “CLAZER” is evidently a bit misleading. 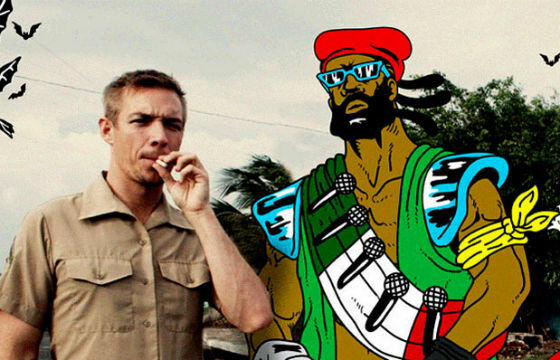 We admit, we ripped it off from Major Lazer, which could be really misleading since he shoots a laser that is grafted to his arm while riding a skateboard and smoking weed. . .
No relation to CLAZER . . .
Coming to headsets near you soon.